Rebecca seems to have been a fixture at Melton Park since her older brother Chris joined the club in 2008 when ‘Becks’ was just 7 years old. At first she busied herself helping fold raffle tickets or run stalls at the Junior Festival or 6-a-Side but eventually started playing cricket herself as a fledgling member of the Girls’ section. 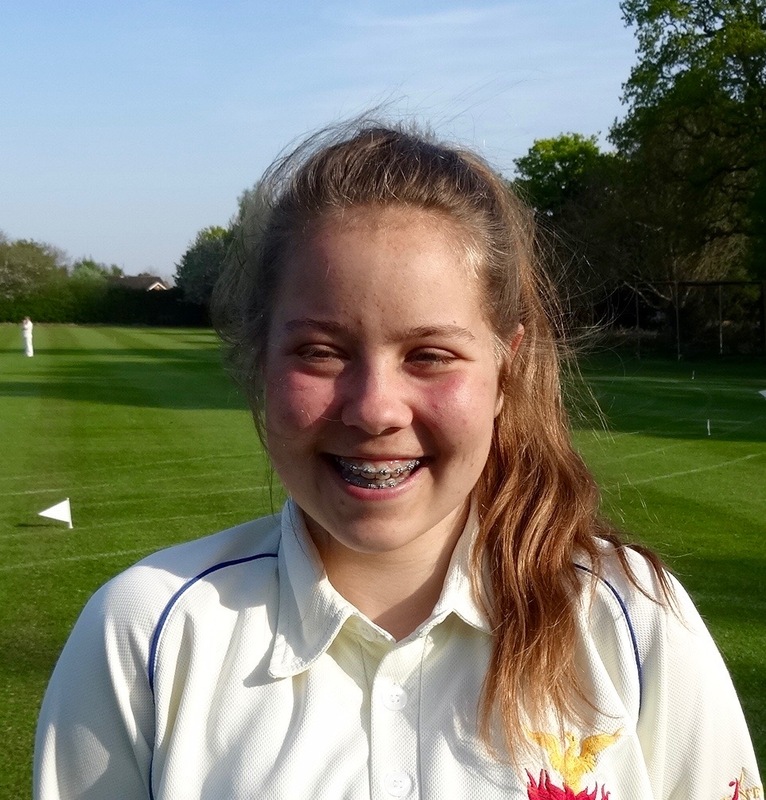 Since then Rebecca has played for the U11s, the U13 Girls and mixed side, the Women, the U15s and, after scoring 180 runs at an average of 22.5 in 2015 for the Girls, earned an opportunity in the C Team. Becca was also a member of the County Girls U12 & U13 sides and, although she dropped out of the squad in 2015, she won her place back in 2016. The improvement in her batting that year was striking and earned her the Coaches/Managers’ Girls Player-of-the-Year Award. She captained our Zip League Team in 2015 and is developing into a useful wicketkeeper, a role she has already performed in the C Team. Rebecca, like the rest of her family, likes to make herself useful, scoring or assisting with coaching the younger girls. She is likely to play in the U19s and in the senior teams this year but our one disappointment is that, having moved to Swardeston Ladies in 2016 when Melton were unable to field a ladies’ side, Becs has decided to stick with Swardeston for her Ladies’ cricket in 2017. Our fledgling Ladies could do with someone of her cricketing experience.